This dataset contains a list of active General Practioner (GP) branches. The data is aligned with the Organization Data Service (ODS) GP data. It includes information about organization and postcodes, telephone number and email address for several GP branches in England. The Organization Data Service (ODS) is provided by the Health and Social Care Information Centre (HSCIC). It is responsible for the publication of all organization and practitioner codes and national policy and standards with regard to the majority of organization codes, and encompasses the functionality and services previously provided by the National Administrative Codes Service (NACS). Data contained in this dataset is obtained from various sources. 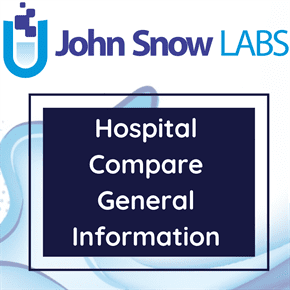 National Health Service (NHS) Choices has provided the functionality that allows General Practioner (GP) practices to access their profiles using the Provider Information Management System (PIMS) to update the information about them. GP practices that have taken up this privilege are able to update their profiles. In some instances, some parent organizations inform when changes occur. ODS reports are regularly used to update data. ODS code format is used to identify the GP branches. The Organization Status used for this dataset is ‘visible’. The role of a GP can vary greatly between (or even within) countries. In urban areas of developed countries their roles tend to be narrower and focused on the care of chronic health problems, the treatment of acute non-life-threatening diseases, the early detection and referral to specialized care of patients with serious diseases, and preventive care including health education and immunization. Meanwhile, in rural areas of developed countries or in developing countries a GP may be routinely involved in pre-hospital emergency care, the delivery of babies, community hospital care and performing low-complexity surgical procedures. In some healthcare systems, GPs work in primary care centers where they play a central role in the healthcare team, while in other models of care GPs can work as single-handed practitioners.